This is to recap that the FiT implementation in Sabah has been suspended except for Small Renewable Energy Power (SREP) Programme projects which reached commercial operation date by Dec 31, 2011. A feed-in tariff (FiT) is a rate of money paid by the government to homeowners or organisations to generate their own electricity through small-scale green energy or renewable energy installations. In Malaysia, renewable resources covered by the FiT includes biogas, biomass, small hydropower, and solar PV. Why the suspension in Sabah? I read about this in Business Times few days ago whereby SEDA chief executive officer Badriyah Abdul Malek said "It would be justifiable for the Sabah Government to contribute to the RE Fund, following the suspension of FiT implementation there," in a press interview. I dug for a little bit more and found that earlier in March 2012 The Star reported the same. This means the suspension could have been imposed no longer than 2 months back. From the few press reports, I can only deduce that the suspension was due to Sabah not contributing to the RE Fund set up by the government when the FiT was implemented in December last year. Sabah government appealed for a delay in RE Fund collection as it would be too taxing on consumers here since electricity tariff has just been increased by about 15% in July 2011. No contribution, no benefit so it seems. The eligible SREP I mentioned earlier covers only 5 green power producers as they are already operating commercially, as of December 2011. Total power generated by these RE entities is 36.5MW. On the same token, the rumoured JV between SEC and SESB to build solar farm mentioned in my article Cypark and TNB signed Renewable Energy Power Purchase Agreement, will not metarialise after all. This is somewhat turning into a sad ending. What we can do is simply contribute to the Renewable Energy (RE) Fund. 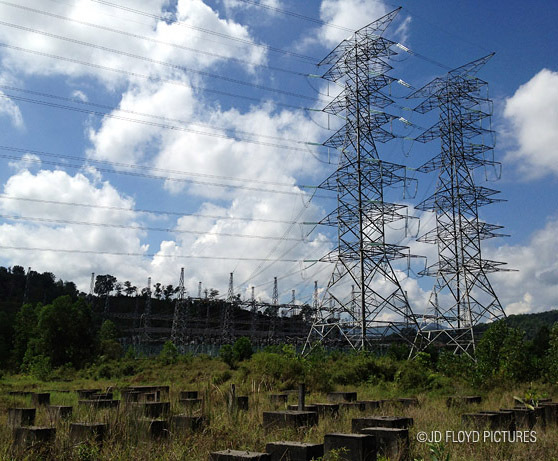 The heavy energy users in Sabah has not yet been levied for the energy consumed and as it was the State Government who appealed for delay of the RE Fund collection, it is just fair that the same government shoulder the obligation to contribute. As per the Chief Minister's recent 2012 budget presentation Sabah seem to have a lot of money in its reserve coffer. Use it. As SEDA CEO mentioned, it is not fair that only industry players (heavy energy consumers) in Peninsula Malaysia are being levied but not consumers in Sabah. What the heck is wrong with them? Dont they have 'enormous' amount of reserve in their account?